Over a four-week period, these teams performed an analysis of new approaches that could prepare entrepreneurs for the future of electronics, while also having the benefit of access to industry-leading professionals. All teams presented their analysis to senior-level executives at Arrow’s corporate headquarters. The winning team, comprised of five students from the University of Denver (DU), were guided by DU faculty coach, Michael Caston. 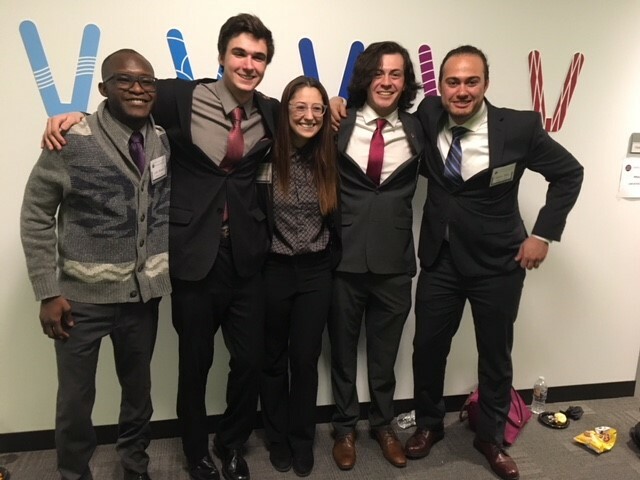 “Competing allowed me to truly grasp how having people of diverse thought allows for challenges to be tackled from every angle and eventually allows for the best answer to become apparent,” said Isaiah Silva one of five DU students on the winning team. The winning team was comprised of Luke Bonaize (International Business), Austin Armstrong (Computer Science and Chemistry), Hayley Miller (Computer Science and Geography), Zyed Ansary (Physics) and Isaiah Silva (Electrical Engineering). Each of the five winners were awarded a $2,500 scholarship from Arrow.